Thank you, thank you, thank you, readers! 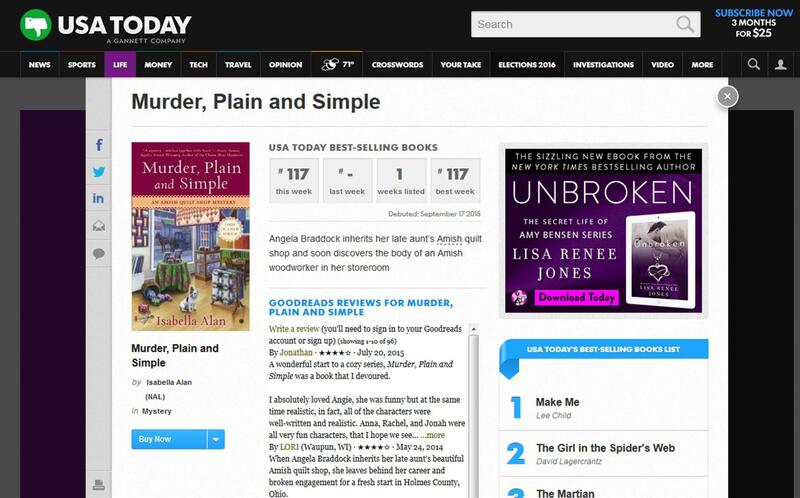 I could say thank you a million times and it still would never be enough to express how grateful I am to you for making Murder, Plain and Simple a USA Today Bestseller. It was truly a dream come true! To show my gratitude, I am giving away a signed novel from my backlist to three winners. The giveaway is limited to US and Canada residents. Good luck and thank you one last time! Last week, I was in Florida on a writing retreat. It was a great time spent on th e west coast with writing friends. Lots of wonderful things happened while I was there: I started a new project, I spent time with my super agent/friend, and I saw a baby dolphin off the coast of Sanibel Island. 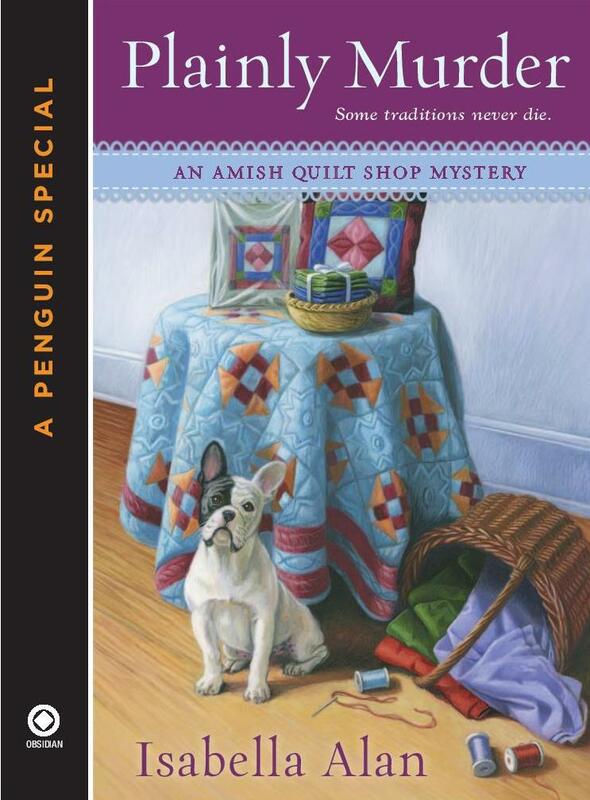 But the most wonderful thing was a call from my an editor to tell me I was a national bestselling author since my Amish Quilt Shop Mysteries hit the Barnes and Noble bestseller’s list. I was completely shocked and overjoyed! I have my fabulous readers to thank for making this happens. Thank you! It’s something I never dared to dream of. You always encourage me to write more and dream bigger. Of course, Dead Fred tagged along to the Sunshine State. Enjoy his photo journal! 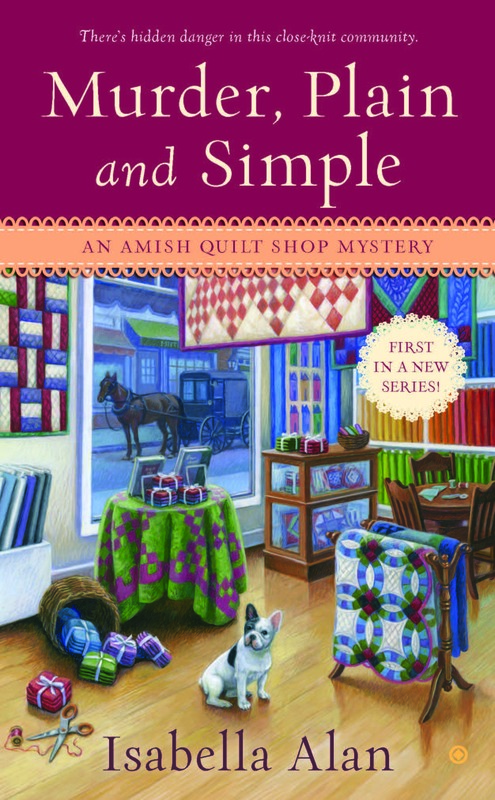 I’m giving away a signed advanced reader’s copy of MURDER, PLAIN AND SIMPLE, the first mystery in the Amish Quilt Shop Mystery Series that I write as Isabella Alan, on Goodreads. 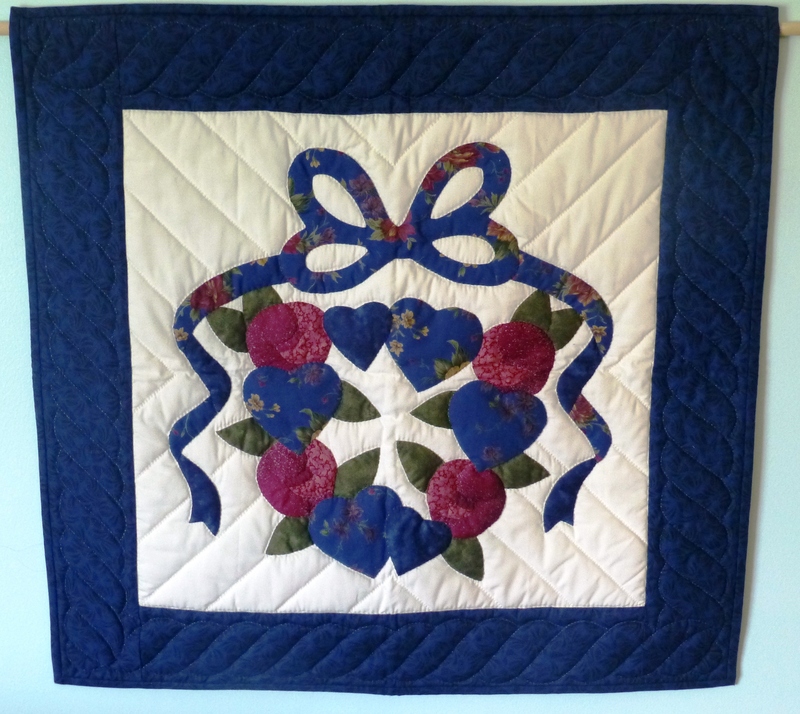 Contest runs from June 28, 2013- August 23, 2013. 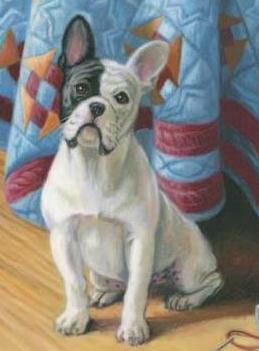 With her snazzy cowboy boots and her ornithophobic French bulldog, Angie doesn’t exactly fit in with the predominantly Amish community in Rolling Brook, but her aunt’s quilting circle makes her feel at home as she prepares for the reopening of Running Stitch. On the big day, Angie gets a taste of success as the locals and Englisch tourists browse the store’s wares while the quilters stitch away. 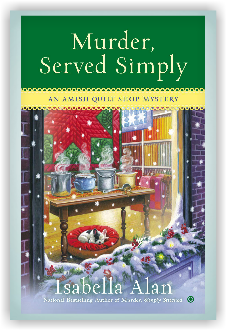 But when Angie finds the body of ornery Amish woodworker Joseph in her storeroom, the future of Running Stitch looks bleak. With evidence mounting against her, Angie is determined to find the culprit before the local sheriff can make an arrest. Rolling Brook appears to be a simple place, but the closer Angie gets to the killer, the more she realizes that nothing in the small Amish community is as plain as it seems. . . . Paperback & Ebook now available for preorder! Don’t forget the Especial Novella Prequel, PLAINLY MURDER, coming August 6th! Only $2.99. Welcome to Rolling Brook, Ohio, a quaint Amish community where life is less tranquil than it seems. Ebook now available for preorder!